Rogers Arena, home of the Vancouver Canucks and located in the downtown area of Vancouver, British Columbia, opened in 1995 with its very first event – a concert by Canada’s own Bryan Adams on September 19, 1995. 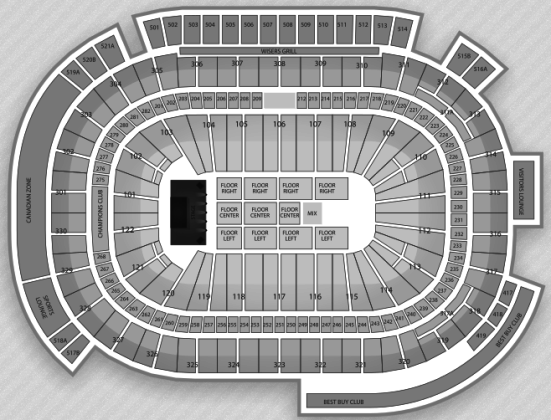 Over the past 18 years, concerts that have been staged at Rogers Arena include the following: four concerts by Lady Gaga; three concerts by Metallica; Jay-Z and Kanye West as part of the Watch The Throne Tour; Carrie Underwood; Nicki Minaj; Nickelback; Bruno Mars and Rammstein. This spring and summer, music fans will be headed to Rogers Arena with a busy concert calendar on the docket: Fleetwood Mac on May 19; KISS on July 6; New Kids On The Block on July 10; The Postal Service on July 16; Bruno Mars on July 20; Rush on July 26 and One Direction on July 27. Tickets for all concerts as well as all other events at Rogers Arena this spring and summer can be found right here at SeatGeek. 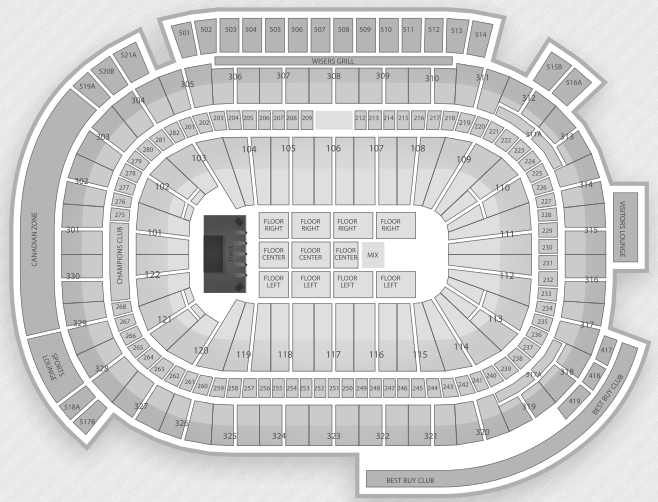 For a look at the seating chart for concerts at Rogers Arena, check out the image below. The venue seats 19,000 patrons for concerts.